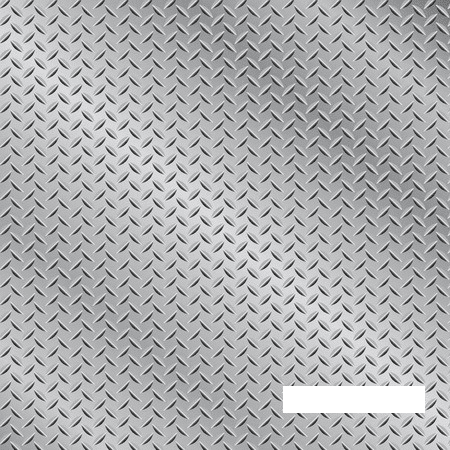 Aluminum Diamond Plate or also known as Aluminum Tread Plate is often used to protect something. 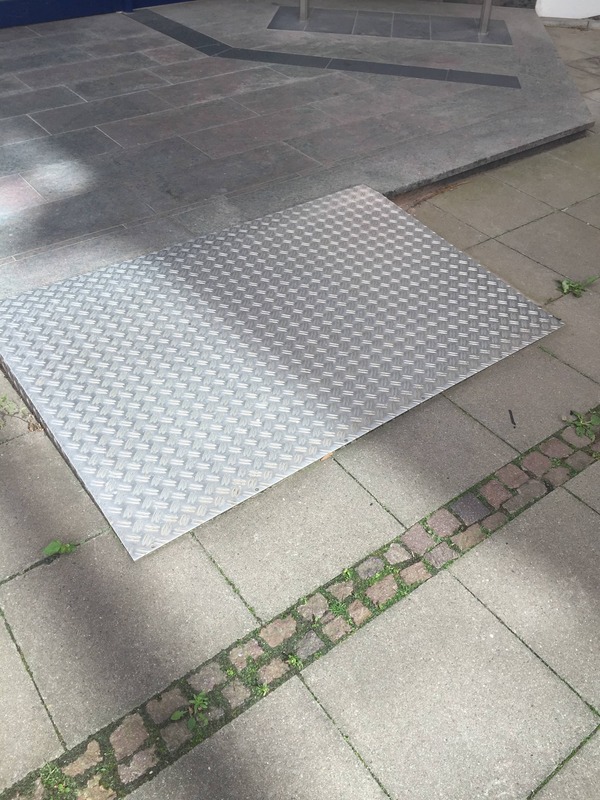 In many cases it is used to cover something up, or used as a ramp. Aluminum Diamond Plate , cut and bend out of a big piece of sheet metal is what our customer wanted this time. 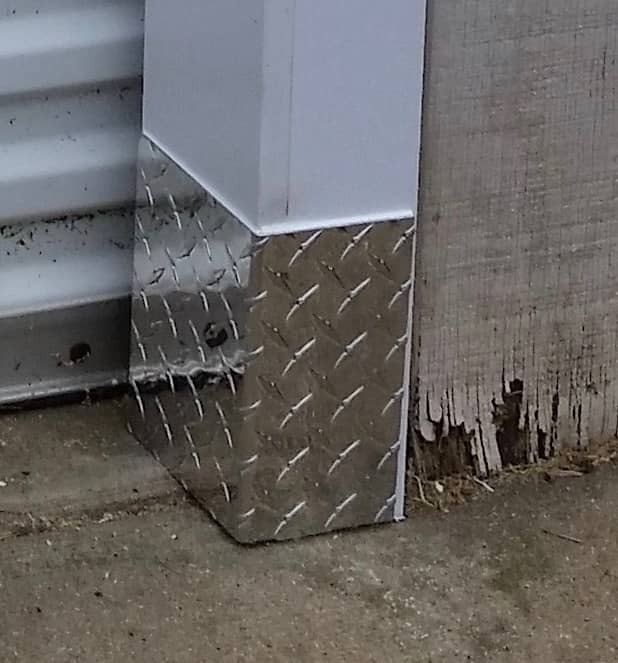 We do not often get to see, where the sheet metal we custom cut for our customers actually are installed, so we would like to thank you for providing pictures if you do. We will be happy to tell your story. In this particular case the customer parks his lawn tractor in a garage with what appears to be a very narrow entrance. He needed the Aluminum Diamond Plate to protect the lower shed entrance and therefore searched for a custom cut metal service. To be successful with his little DIY project he first needed to measure the legs of the later to be custom cut and bend aluminum corner guard (angle) . After knowing what was needed the job was easy. 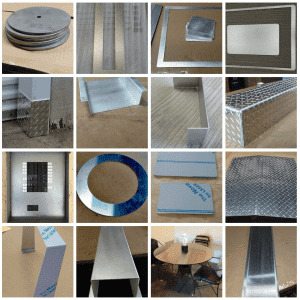 Selecting the proper sheet metal, the sheet metal surface and the thickness. Then entering the before measured length and width into the provided fields - press calculate - That's all. Out comes a great looking DIY metal project serving the purpose of the project. If you have a DIY project and need custom cut sheet metal - contact MetalsCut4U or check out our website if you can find the right shape or form you need to make your project a success.